The good old zero has become one, but the numbers on SUPERSWEET are not going up! 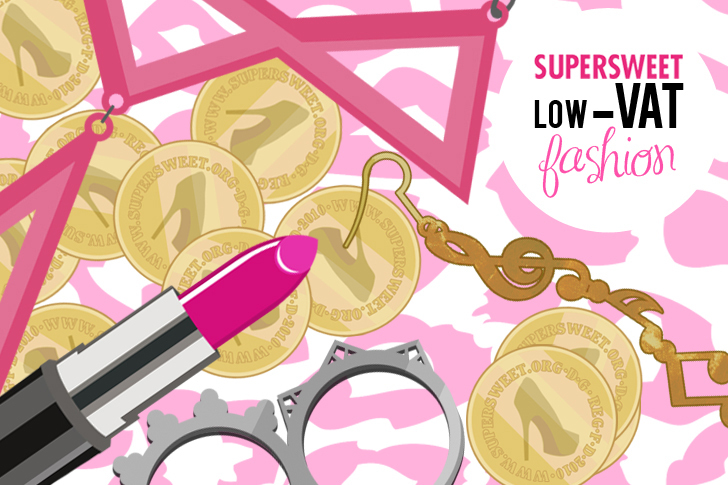 SUPERSWEET kicks off the new year by going on a low-VAT fashion diet with prices just as low as before. We’ve got all the low-VAT fashion nutrients covered to help spice up the wardrobe 2011 without going overboard with your budget, so get cracking on the wallet friendly shopping regimen. How about fighting fashion anemia with Noble Youth’s fluorescent top or going animaniacal with Opening Ceremony fur boots? Just choose your own style supplements and join the low-VAT revolution by signing up to get an extra 10 % off your shopping.